(3 Customer Reviews) | Write Review 52 issues per year Since 1923 TIME Magazine has been one of the most respected and informative guides to the world’s events, from health and politics to business and entertainment, published weekly and attracting close to 2 million readers. TIME covers provocative ideas and topics discussed by the nation and the world and rapidly responds to the news stories you want to hear. Inside this issue, we ask, will Bob Mueller separate fact from fiction? 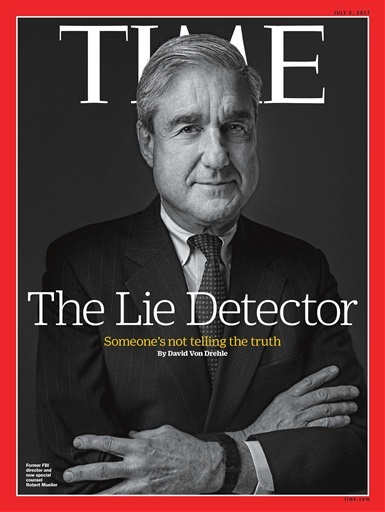 The formidable special counsel has time, money and an all-star legal team on his side. But he’s never taken on an investigation like this before.